Phil Mickelson wins Pebble Beach Pro-am after final round is completed Monday Morning. 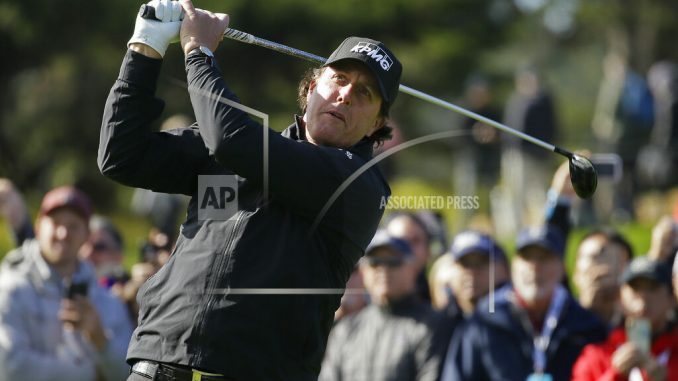 PEBBLE BEACH, Calif. (AP) — With plenty of sunlight and no drama, Phil Mickelson finished off a 7-under 65 to win the AT&T Pebble Beach Pro-Am on Monday and match the tournament record with his fifth victory. Mickelson tied Mark O’Meara’s record with his fifth victory in the AT&T Pebble Beach, the first one also a Monday finish in 1998 because of bad weather, with one big difference — that Monday finish was more than six months later in August.